Wooden standing wave, made from centipede. You can actually buy the animated centipede here. 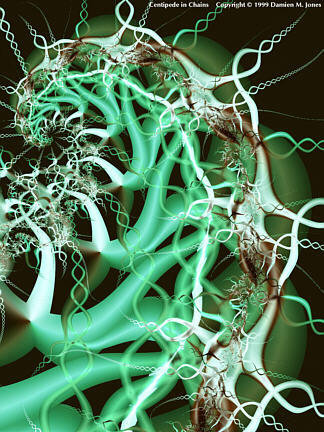 If centipedes turn you on, check out Damien M. Jones fractal centipedes here. Damien M. Jones fractal centipede.